Achieving the status of "astronaut" is challenging enough, but attaining the title of the highest-ranking Latin America in The National Aeronautics and Space Administration (NASA) is something else altogether. That requires immense amounts of dedication, time, and most of all, curiosity. All of these positive attributes pertain to Franklin Chang Diaz, the first Costa Rican astronaut. Chang Diaz was born on April 5, 1950 in Costa Rica to mother Maria Eugenia Diaz and father Ramon Chang Morales. One year after Chang Diaz was born, his parents moved the family to Venezuela. During their stay in Venezuela, something magical happened for Chang Diaz: his love for space set off. It all began when the Russians launched the first man-made satellite, Sputnik 1, to orbit the earth. Franklin's mother, Maria, told her son of the news and, being the curious six-year old boy he was, he climbed up a tree and searched the sky for hours. Whether or not he actually saw the satellite is trivial because what is certain is that Chang Diaz's passion for space began at a ripe age and continued for the rest of his life. A few years later, Chang Diaz returned to his native country of Costa Rica and dedicated himself to his education. Earning excellent grades, and a day job at the National Bank of Costa Rica, he managed to earn enough money to travel to the United States. His first stop was in Hartford, Connecticut where he stayed with a close relative. Wanting to improve his English, he enrolled in 12th grade at a local high school. As the year went by, his teachers realized that he was brilliant in the subjects of science and mathematics. Those teachers were the ones that encouraged him to apply for a scholarship to the University of Connecticut, which he subsequently got. After his time at that university, he was offered an even better deal: a scholarship to the Ph.D. program at the Massachusetts Institute of Technology, but it wasn't all smooth sailing from there. 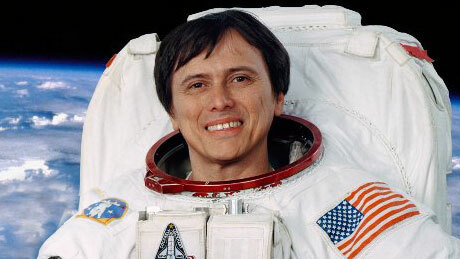 During his time in the program, Chang Diaz applied for an astronaut position at NASA. He didn't get in. Nevertheless, Chang Diaz persevered and stayed in the United States to further his work and education. Attaining his U.S. citizenship after living in the country for ten years, Chang Diaz applied to NASA once again. He was one of four-thousand applicants that applied for the mere nineteen positions available. Remarkably, Chang Diaz was chosen and he began training as an astronaut with NASA in the year 1981. A few years later, on January 12, 1986, Chang Diaz's dream of being in outer space became a reality when he was part of a space mission aboard the Columbia space craft. While in space, he was able to conduct various experiments dealing with the Earth's ozone layer and the formation of ice in space. This mission would certainly not be his last, and the current number being at six missions, Chang Diaz is the person who has participated in the most space shuttle missions at NASA. Currently, Franklin Chang Diaz is at the Advanced Space Propulsion Laboratory working on furthering the developments for outer space travel. Without incredible levels of determination and a true love for space, Chang Diaz would probably not have achieved his dreams of being in outer space. But, with his willpower and years of hard work, he accomplished his goals and hopes that the youth of today accomplishes theirs too. Ad Astra Rocket Company - is an advanced rocket technology company founded by Franklin Chang Diaz.